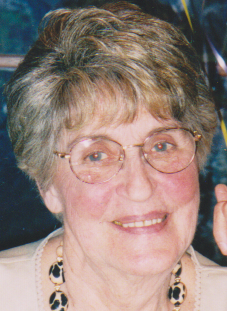 Isabelle Ann DelCotto Hornyak “Izzy”, 90, of Shadyside, passed away on Sunday, March 17, 2019 in Forest Hills Retirement Center. She was born in Bellaire on April 5, 1928 a daughter of the late Fred and Mary (Rose) DelCotto. She was employed at Imperial Glass in Bellaire and at Cleveland Graphite in Lansing. She enjoyed volunteering at St. John’s school cafeteria, the soup kitchen and worked and volunteered many years at the Sons of Italy in Bellaire. Her passion was baking, especially her famous pizzelles, which she loved giving to family and friends. Izzy is survived by her children, Allan (Diane) Hornyak, Monica Schwender and Dana (Roger) Campbell; beloved grandchildren, Amber (Brian) Blanchard, Autumn (Chris) Leach, Alexandra and Ashton Campbell; and a great granddaughter, Amelia. She was preceded in death by her parents; sisters, Natalie Vannelle, Ruth Sommer, Olga Games and Rosemary DelCotto; and a son-in-law Harold Schwender. Family and friends will be received at the Wilson Funeral Home, 920 National Rd., Brookside on Friday, March 22 from 2-6 pm. In lieu of flowers, donations may be made to Valley Hospice, 10686 State Rt. 150, Rayland, OH 43943 or to the Belmont Animal Shelter, 45244 National Rd., St. Clairsville, OH 43950 in her memory. The family offers a heartfelt thanks to all who knew and loved her.